Middleton’s Douglas Bryant originally hailed from Amesbury, Massachusetts where his father worked in the automotive industry. Prior to World War II, Amesbury had a bustling automobile industry, but manufacturers such as the Walker Body Company did not survive the Great Depression. After the Depression hit, with his dad laid off, the family moved to Snowville, NH (now called Eaton, NH) to a farmhouse that was offered to the family rent free, in exchange for repairs and farm work. Working as a teenager in various jobs, including a stint building destroyers at the Charlestown Naval Shipyard, Doug could not wait to enlist and join the war effort. Enlisting in the US Navy at seventeen, he completed basic training, volunteered for submarines, and was sent to Engineman School, then on to the USS Seadog SS-401, a new construction boat in Portsmouth, NH. I have had the honor and pleasure of meeting retired US Navy Senior Chief Bryant twice, once at the Submarine Veterans of America’s dinner held at the Gerry Five Hall in Marblehead, MA, the second time at the same organization’s summer cookout at a member’s North Shore home. 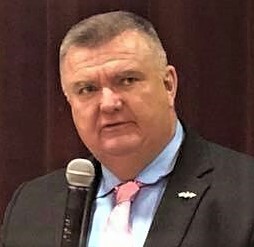 At the Submarine Veteran’s diner last spring, the Master of Ceremonies, went around the room, and asked each Submarine Veteran to stand, introduce themselves, and announce the date they qualified as a Submariner and the Boat (what sailors call submarines) they qualified on. Sailor after sailor stood up, said their name, the name of their boat, and the year they earned their “dolphins”. (The official name is the Submarine Warfare insignia which all qualified sub sailors wear, but always called dolphins by Sailors). The crowd of around fifty sailors and their wives, erupted when Doug stood and said, “Doug Bryant, USS Seadog, 1944”. Out of all the Navy men in the room, all except me wearing “dolphins”, on their suit lapels, only Senior Chief Bryant was wearing his dolphins, his Navy diver qualification pin, and the coveted Submarine Combat Patrol Insignia with five stars. Each star representing a combat patrol against Japan. This pin has not been awarded since 1945. In his book, “The Navy gave me Shoes”, Senior Chief Bryant describes in great detail his training and being mentored by veterans of other submarines, who were transferred to provide leadership on the newer subs. Navy men love to tell stories, in his biography, Doug talks about an older sailor, a veteran of earlier combat patrols on another boat, who was transferred off to a new construction submarine. This man’s first submarine was lost with all hands onboard, on its next patrol – one of the fifty-two US Navy submarines lost in World War II. Of the 16,000 American Submarines who served in World War II, 3,606 were lost in the war. Basically one in five American submariners did not survive the war. Submariners had the highest casualty rate in the US Military during World War II. This fact was kept secret by the US Military until Japan surrendered. Many families believing their sons and husbands were simply out on patrol, but actually had already been killed in the war; their boat sunk. Two submarines, the USS Thresher SS-200 and USS Narwhal SS-167 are tied with fifteen combat patrols each. Both boats survived the war. Seven World War II Submarine skippers received the Medal of Honor. They include former Andover, Massachusetts resident George Street and the only man to land combat troops on mainland Japan during the war, Admiral Eugene Fluckey. On the USS Barb SS-220, Fluckey and his men, took some scuttling charges, paddled ashore on a raft, and blew up a Japanese train using the sub’s scuttling charges. As the Barb’s commanding officer, Admiral Fluckey sank confirmed seventeen Japanese ships, including a carrier, a cruiser, and a frigate. Senior Chief Bryant’s USS Seadog SS-401, completed five war time patrols, earned two Battle stars, and sent several Japanese ships to the bottom. The most decorated ship in the US Navy during World War II was the carrier USS Enterprise CV-6, with twenty Battle stars, a Presidential Unit Citation, and the U.S. Navy Unit Commendation. ENCS Bryant remained in the US Navy after the war, serving as a submariner, a Navy diver, an instructor. A veteran of World War II, Korea, the Cold War, and Vietnam, he retired in 1967 as a Senior Chief Petty Officer. He married his wife Virginia, and the couple had two daughters, Susan and Maureen. He worked in various high tech jobs on the North Shore, until he retired for a second time at age seventy two. For the young men and women in the Merrimack Valley reading this, he completed all five of his Combat Patrols before is twentieth birthday! They are called the “silent service”, because they are the smartest, best trained, and best paid sailors in the US Navy. Once they are “qualified in submarines”, they are eligible to receive submarine duty pay throughout their career. 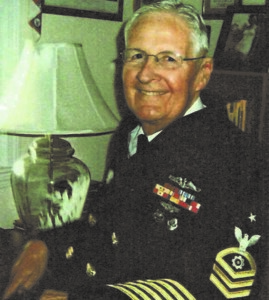 Submariner Frank Harrington is the Commander of the Submarine Veterans Base in Marblehead, Massachusetts, he qualified on the nuclear attack sub, the USS Cavalla SSN-684. Base Vice-Commander is Frank Hood, who qualified on the USS Seahorse SSN-669, another nuclear attack sub. Similar to an American Legion Post, Submarine Veterans call each local group a “base”. The current US Navy fleet, has eighteen Ohio class submarines, fourteen ballistic missile submarines (SSBNs) and four guided missile submarines (SSGNs) In addition to eleven Virginia class (SSNs) three Seawolf class (SSNs) and thirty six Los Angeles class (SSNs) fast attack and attack submarines. Most of their daily activities are highly classified, with the crew not allowed cell phones or cameras onboard. While the last Submarine Combat patrol pins were awarded in 1945, on January 17, 1991, the opening night of Operation Desert Storm, for the first time since the surrender of Japan in 1945, an American submarine fired in combat, firing twelve Tomahawk missiles from the Submarine deep in the eastern Mediterranean Sea. Sadly, on October 1, 1990, the last diesel attack submarine, the USS Blueback (SS-581) was decommissioned. The USS Blueback earned two Battle stars during the Vietnam War. The US Navy operated a diesel research submarine, the USS Dolphin (AGSS-555) until January 15, 1997. This submarine served the fleet for thirty eight years, the longest career of an US Submarine. Looking to the Navy’s future, US Navy doctor Commander Marilisa Elrod, is qualified as a medical doctor, qualified as a US Navy diver, and qualified in Submarines, one of the first women in the military to qualify on a sub, a 1996 graduate with honors, from the US Naval Academy. Commander Elrod earned an Honors degree in Natural Sciences at Trinity College, Cambridge University. CDR Elrod then studied at The Ohio State University, completing an MS in Statistics and a PhD in Biostatistics and graduated with an MD in June 2005. Currently stationed at the Naval Hospital in Norfolk, VA. A civilian once said to me, disappointed after his son joined the US Army, he felt that only young men and women who join the US military are youngsters without options. This young Navy officer could and would succeed anywhere! Thanks to Submarine Veteran Frank Harrington for introducing me to his brother submarine veterans. Much of the information for this article came from Jeff Wignall and Doug Bryant’s book, “The Navy Gave Me Shoes”, (available on Amazon) which should be on the required reading list in our public schools. Purdue University graduate and former Naval Submarine Officer Frank Hood has the perspective of serving as a midshipman and an officer on both a diesel boat, the USS Entemedor (SS-480) and a nuclear submarine, the USS Seahorse (SSN-669). Over a beer, I learned much about submarines from the former Ensign Hood. My favorite being the stories of “sticky buns” made by Navy cooks late at night for the submarine crews. His book is available as well on Amazon and is titled “Poopie suits and Cowboy boots; Tales of a Submarine Officer during the Height of the Cold War”. The US Navy and Hollywood, both call submarines the “Silent Service”, that may be true. Considering the Marblehead submarine veterans are modest men, who will talk all day about “sticky buns”, their families, and their first beer at seventeen in a bar in Panama, but will say nothing of their bravery in traveling under the North Pole on a submarine, attacking a Japanese ship, or launching missiles at Iraqi Troops during the opening salvo of the Gulf War. To any Valley Patriot readers who served on Submarines, please consider joining the Submarine Veterans of America, simply go to either of their websites, Marblehead, MA is www.marbleheadbaseussvi.org or their National site is www.ussvi.org. The group is robust, with 12,468 members, but the Submarine Veterans tell me that they want every submariner to join their organization. John Cuddy served in the US Navy’s Construction Battalions (also known as the Seabees) after retiring from the Navy, he earned a BA in History and an MA in Economics from the University of Massachusetts on the Lowell Campus. He has been employed in Logistics at FedEx for the last 21 years. If you know a World War II Veteran who would like their story told, please email him at John.Cuddy@Yahoo.com.